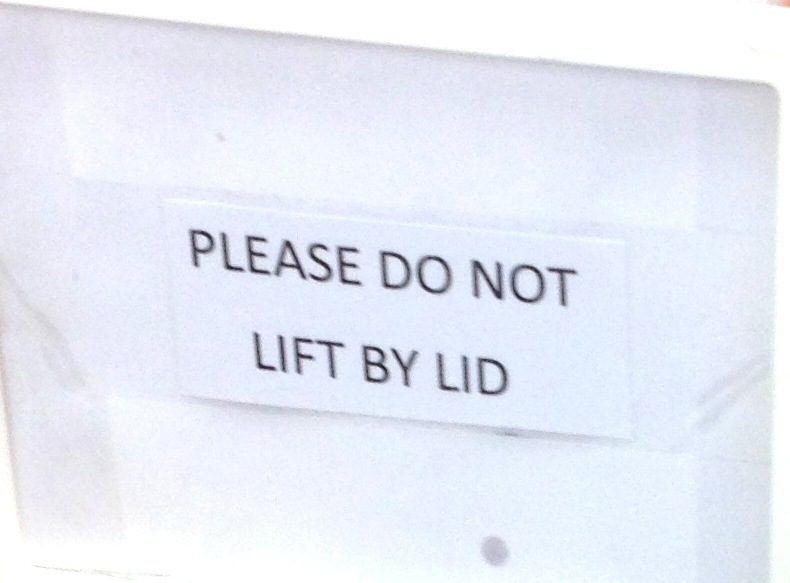 Ad hoc signs: “Don’t Lift by Lid” | Normative Signs: The Poetry of "Ought"
Here’s a category of normative sign I haven’t dipped into here, until now. It’s the ad hoc sign printed on a basic office printer. 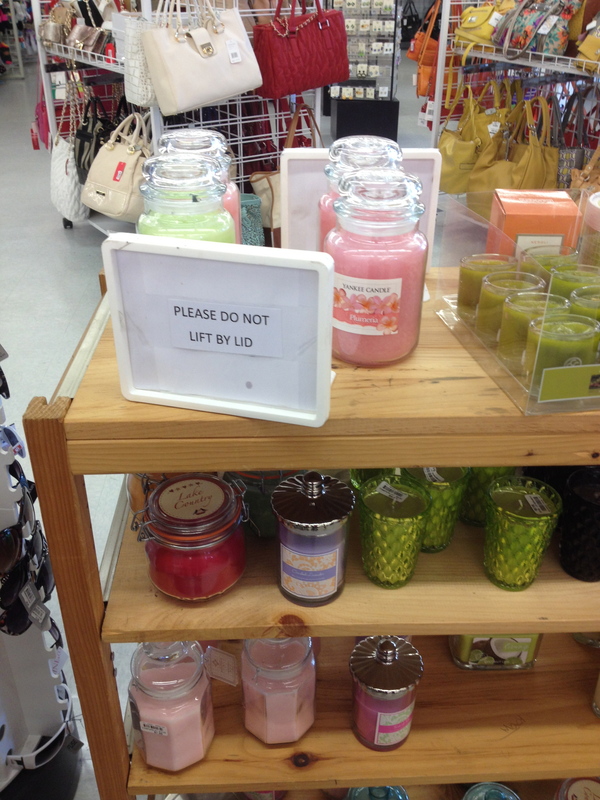 It’s posted next to a bunch of candles-in-jars, for sale in a small department store in Surfside Beach, South Carolina. I love signs like this; they smack of exasperation, perhaps desperation.